There’s been a resurgence in Japanese food recently with 3 new eateries popping up across the city. One of these is Tuno Izakaya, a restaurant that specialises in Ramen and Yakitori. Owner and General Manager, Bin Shen has been trained in Osaka under a ramen master and makes noodles by hand every morning. Their menu is divided into two sections; Yakitori and Robatayaki, and Ramen. The former is a selection of traditional charcoal skewers with all your typical proteins and vegetables. 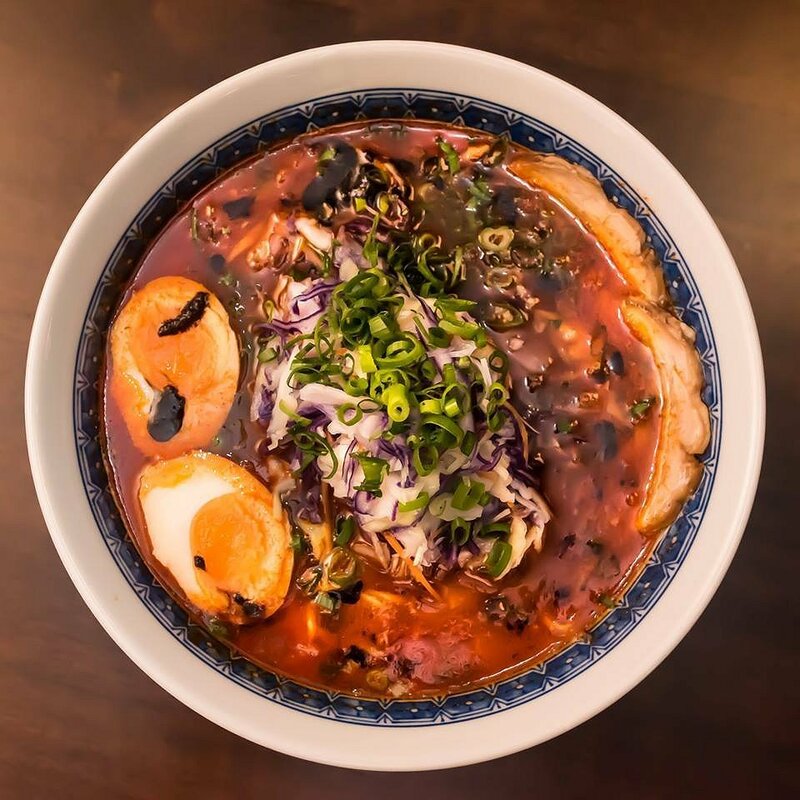 As for the Ramen, there are 7 dishes to choose from with something for everyone. Tonight, I had the Spicy Miso Ramen made from chicken soup and hot miso paste with chashu, egg, spring onion, salmon mince and sesame. Noodles don’t take long to cook and our dishes were out within 10 minutes of ordering. The ramen noodles were thin and delicate, and cooked to perfection. The soup was full of flavour and had a subtle kick to it. The dish was loaded with vegetables, however a bit more chashu wouldn’t have gone astray. The staff were friendly and attentive, the service was fast and efficient. The atmosphere was relaxed, and it was a full house when we were there. All the ramen dishes were $15.90 which is about the price you’d pay elsewhere. Tuno Izakaya is open everyday except Monday. Lunch is from 12pm-3pm and dinner from 6pm-10:30pm.